Are you a pinhead or plungeroo, someone who can really biff with the flippers? If so, then the Roanoke Pinball Museum is a must-see for you. This science and history museum contains over 50 pinball machines, dating from the 1930's to the 1990's. And yes - you can play many of them! Pinball has a long and somewhat checkered past. The game has existed, in one variation or another, since at least the 1800's. These early versions were spring-loaded bagatelle games; a billiard-like table where players worked to maneuver balls around wooden pegs. The first coin-operated pinball machines debuted in the early 1930s. The addition of flippers in the 1940's helped the game increase in popularity - and scandal. Some saw the game, even with flippers, as one of chance and a form of gambling. Consequently, many cities across the U.S. banned pinball machines, bans that stayed in place for decades. New York city's pinball-ban wasn’t lifted until 1976! Pinball's popularity persisted, however, and new machines are still being produced today. Pinball has evolved quite a bit over the decades, from the early wooden versions, to the amazing light and sound extravaganzas you see today. Over the years, the game has seen the addition of flippers, backboxes, active bumpers, multiple levels, digital readouts, and so very much more. The machines at the Roanoke Pinball Museum are arranged in chronological order, starting with a 1932 Skill-Score game and progressing through to the late 90's. This ingenous display very clearly illustrates how the game has evolved over the years. The museum collection contains well over 50 machines, along with interactive displays and machines you can play. In fact, the museum collection contains so many machines, they can't display them all at once. Though some of the machines you'll see are loaners, most are property of the museum, with restorations handled by museum employees. A full list of their collection can be seen on the museum website. While some of the machines are too valuable or fragile, a great many can be played. Perhaps best of all, you can play as often as you like - and all for the price of admission, so go ahead and leave those quarters at home. The museum also offers snacks and drinks - both soft and alcoholic. These are served from a bar, made of pinball machines, that lights up and pings when you make a purchase. Now that's my kind of museum! The Roanoke Pinball Museum is located in downtown Roanoke, on the second floor “Center in the Square” complex. It is open Tuesday through Friday, 11am to 8pm, Saturday 10am to 8pm, and Sunday: 1pm to 6pm. It is closed Mondays. 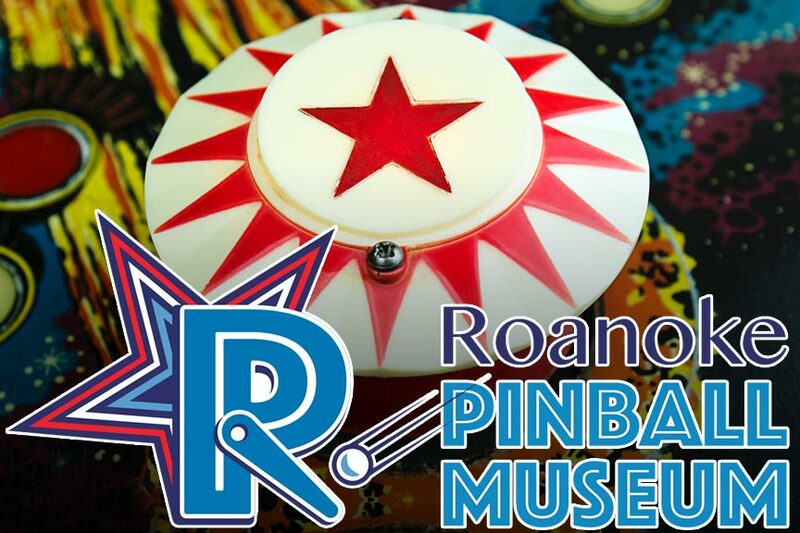 Learn more by visiting roanokepinball.org or the museum's Facebook page.